Bath's BIGGEST Saturday Night at The Lanes in Bristol. 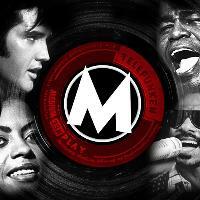 Lineup and Details for Motorcity - Motown, Soul, Funk, Disco & Rock 'n' Roll! Motorcity drops a refreshing but classic mix of all the best Motown, Soul, Funk, Disco & Rock 'n' Roll greats to keep your feet stomping into the early hours! !